Gates Of Hell (GOH / Gates) date back to early 2008, the band from Oporto (PT) founded initially by Pedro Afonso (Guitar), Filipe Afonso (guitar) and Filipe Aragão (Voice). Had its first debut on stage in November of that same year at the Altar Bar in Porto. After a period of concerts and compositions, GOH went through a period of restructuring of members, in which joins Afonso Ribeiro for (Drums), Hélder Costa (bass) and José Almeida (Voice). Having defined the quintet, the band decided to record a demo with some songs written during this period. This demo that allowed Gates Of Hell invade some stage during the year 2009, having been present at many events, in the country sharing the stage with bands enshrined in the national scene. In November 2009, the band entered the studios to record SoundVision his EP titled "Shadows Of The Dark Ages". In 2010 and with gigs in the luggage the band hit enough targets that had proposed follow when launching the EP. 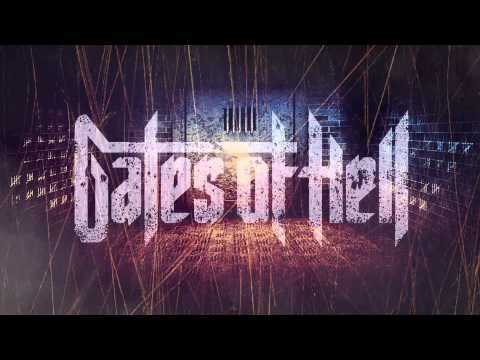 After restructuring again, Gates Of Hell mark on your calendar the recording of their album to 2013 that would enable a contract with a record label with was a major goal for the band. After the usual pause for composition and treatment of a concept that is identified with the elements the band they enter the studio to work once again with Paulo Lopes and have his LP titled "Critical Obsession". With this LP the band has achieved a major goal, to work side by side with a great portuguese label, Rastilho Records recognized in the middle and which contains the names of large national metal.